There was a very fleeting moment in the aftermath of the Katrina debacle, August 29, 2005, that the message that there are a lot of poor in New Orleans and America who are routinely ignored, neglected, and reviled had gotten through. In that very fleeting moment there was a torrent of new studies and reports that flowed out on poverty in America, especially black poverty. Legions of state and local officials made flowery references to the plight of the poor. This was all accompanied by candid media shots of and even interviews with families trapped in dire poverty. Then President Bush even upped the federal ante on spending on relief and reconstruction in New Orleans. That was a decade ago. That fleeting moment when the plight of the poor grabbed the national spotlight was just that, very fleeting. Five months before the decade remembrance of Katrina The Data Center, a New Orleans based research organization, issued a report that told just how fleeting that moment that paid attention to poverty was. It found that not only were just as many children living in poverty in New Orleans today as at the time of Katrina but that the percentage in poverty was nearly 20 percent higher than the national average. This despite the sharp drop in the city's population, and child population. In 2005, the desperate scenes of families scrounging for food, clothing items and other necessities in the aftermath of Katrina rammed home the painful message that rampant poverty in New Orleans was a hard fact of life for thousands. Those scenes forced policy makers and the much of the media to finally acknowledge that brutal fact. It also forced the even more painful admission that of then nearly one out of three New Orleans residents who lived below the poverty level, the majority of who were black. It also forced one more painful admission and that was that New Orleans was not an aberration. Nationally, according to Census figures then, blacks remained at the bottom of the economic totem pole. They had the lowest media income of any group. Bush was widely and rightly blamed for initially dithering, delaying and even denying the extent of the Katrina crisis. He took much deserved heat that his war and economic policies did much to further fuel the crisis. His tax cuts redistributed billions to the rich and corporations. The Iraq war drained billions from cash starved job training, health and education programs. Corporate downsizing, outsourcing, and industrial flight further fueled America's poverty crisis. This all happened on Bush's watch. But a seemingly indifferent and clueless Bush was not the sole culprit. Even during the Clinton era economic boom, the unemployment rate for young black males was double, and in some parts of the country, triple that of white males. 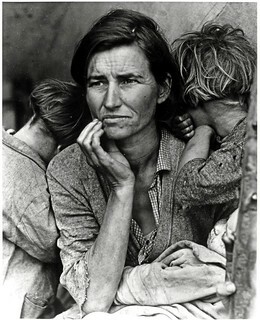 During those years, state and federal cutbacks in job training and skills programs, the brutal competition for low and semi skilled service and retail jobs from immigrants, and the refusal of many employers to hire those with criminal records have further hammered black communities and added to the Great Depression era high unemployment numbers among young blacks. The tale of poverty was more evident in the nearly one million blacks behind bars, the HIV/AIDS rampage in black communities, the sea of black homeless persons, and the raging drug and gang violence that rips apart many black communities. Then there are the children. One third of America's poor are children. The Children's Defense Fund in its periodic reports routinely finds that nearly 1 million black children live not in poverty, but in extreme poverty. Bush's exit from the White House in 2009 didn't change things for the poor. The poverty numbers have steadily risen for during the decade after Katrina. There has been no sign of a turnaround. For that to happen, there would have to be a massive commitment of funds to job, training and education programs, and greater tax incentives for businesses to train and hire the poor. That will take an even greater active national lobbying effort by Congressional Democrats, civil rights, and anti-poverty groups. Unfortunately, the poor have been too nameless, faceless, and vast in numbers to target with a sustained lobbying campaign. President Obama's initiatives on raising the minimum wage, expansion of health care, and job creation, and small business development, have been welcome and much needed. But these initiatives have been fought tooth and nail by an obstructionist GOP. Democratic presidential candidate Bernie Sanders has gone much further and put forth solid proposals that frontally challenge wealth and income inequality in the nation. But other than Sanders, and the passing references that Obama and Democratic presidential rival Hillary Clinton make to the gaping inequality, there is still no national will to plop the plight of the poor squarely on the nation's policy table. There's not much sign that this will change. In a hotly contested presidential election year, the pack of GOP presidential candidates will claw to outdo each other to paint any initiatives by Democrats to ramp up spending on job, health and education programs as wasteful, and self-defeating. And millions will believe them. This assures that a decade after Katrina the message that millions in New Orleans and America grow poorer, more desperate, and greater in number, will remain unheard. 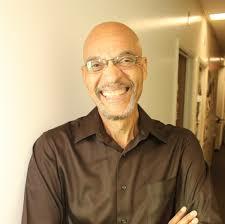 arl Ofari Hutchinson is an author and political analyst. He is a frequent MSNBC contributor. He is an associate editor of New America Media. He is a weekly co-host of the Al Sharpton Show on American Urban Radio Network. He is the host of the weekly Hutchinson Report on KTYM 1460 AM Los Angeles and KPFK 90.7 FM Los Angeles and the Pacifica Network.